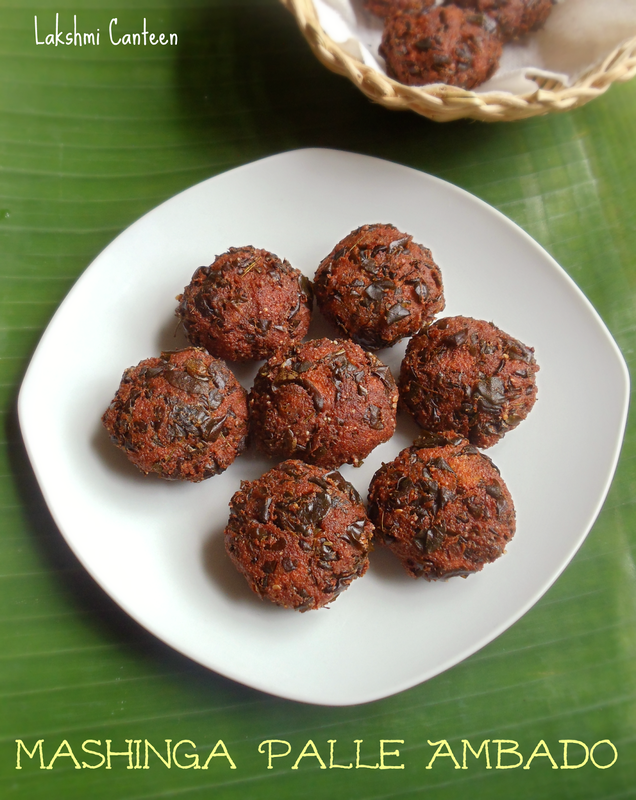 Mashinga Palle Ambado is a rice based fritter with added flavor from drumstick leaves. I got this recipe from a cook book written by Jaya V Shenoy. 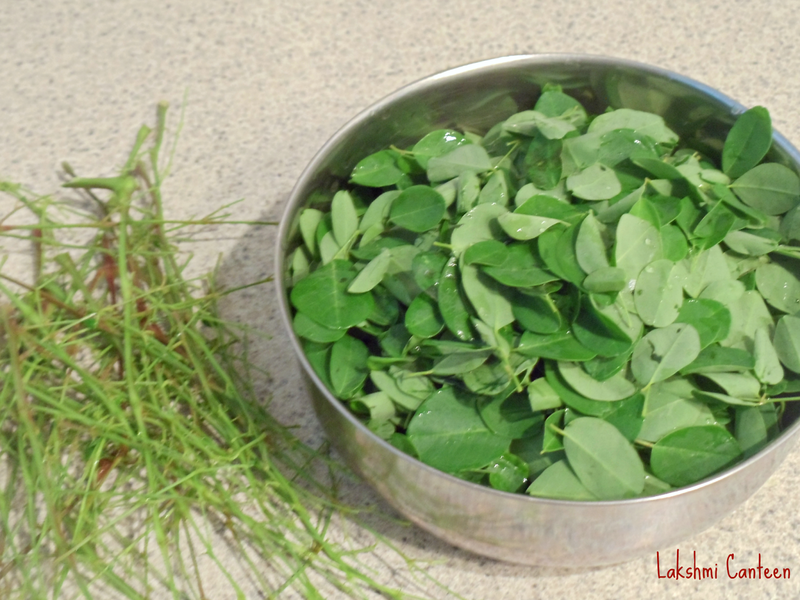 Every year as the monsoon sets in, taikilo (cassia tora) leaves which is a weed (but edible) grows abundantly in my native (Coastal region of Karnataka). 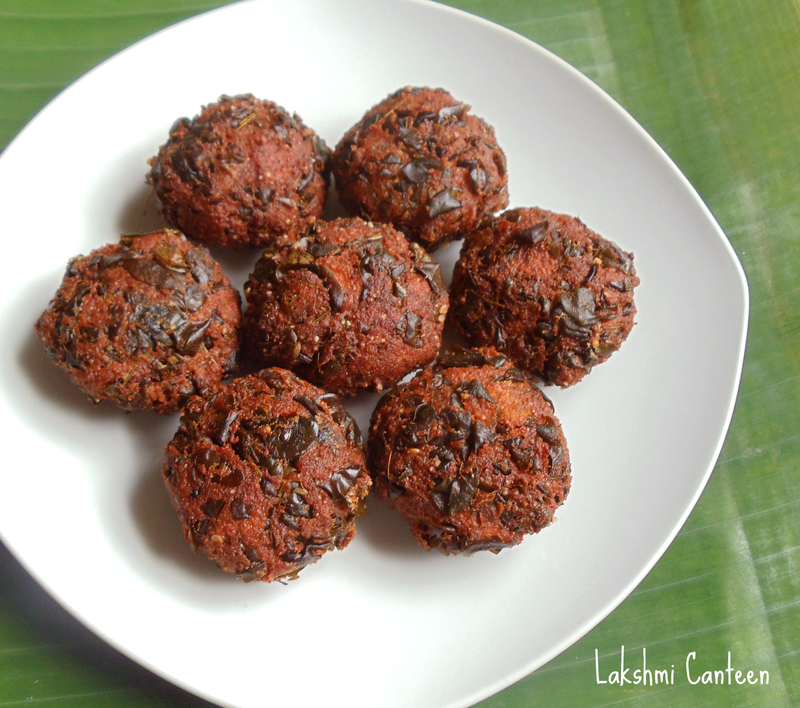 My mother makes fritters using those leaves, every year and it is our family favorite. It has been four years since I ate those yummy fritters. So I decided to substitute drumstick leaves and it tasted somewhat similar. I was very happy, the way it turned out. Do try this version if you get a chance to lay your hands on drumstick leaves. I am sure you all will enjoy it as much as we did! *You can substitute Chanadal for Toordal. 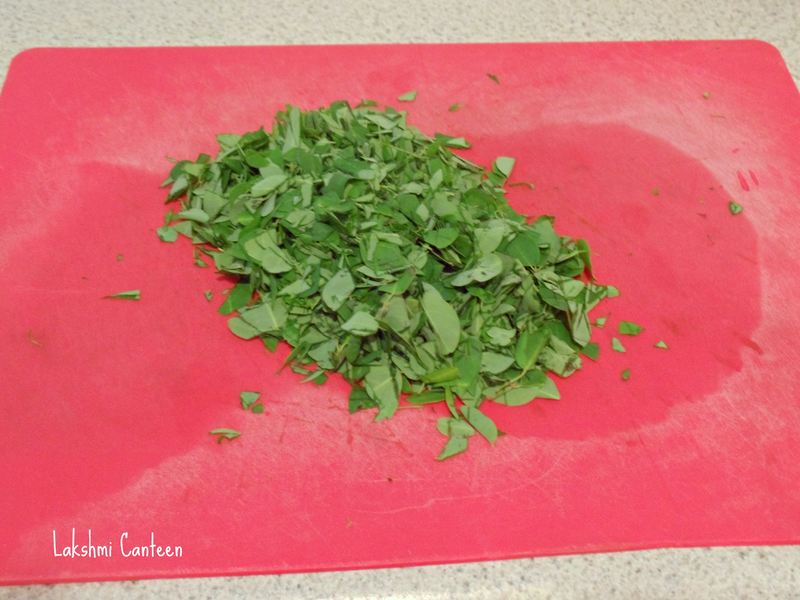 **You can substitute taikilo (cassia tora) or radish greens for drumstick leaves. 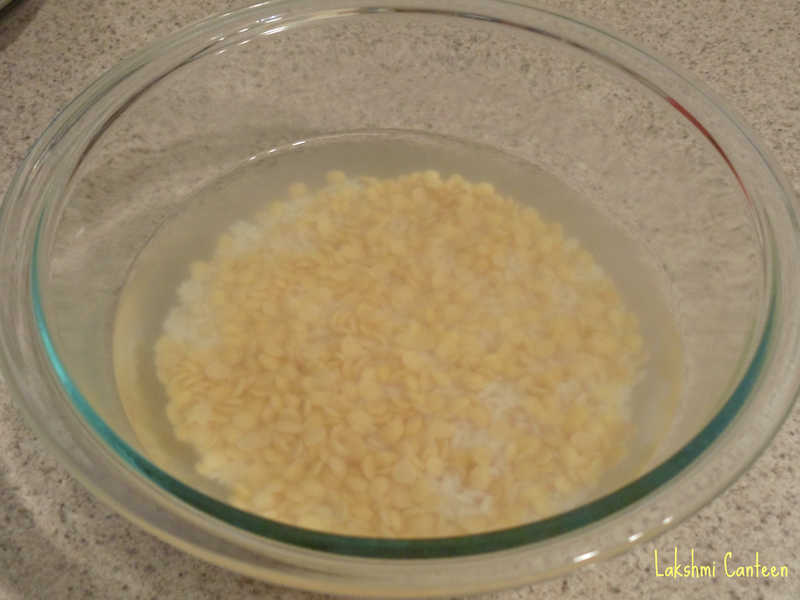 Wash and soak rice, toordal in water, for two hours. While it is soaking, wash the drumstick leaves and pat dry using a towel. Then remove all the leaves from the tough stalk. Then give a rough chop. Once the rice and toordal gets well soaked, drain the water completely and set it aside. 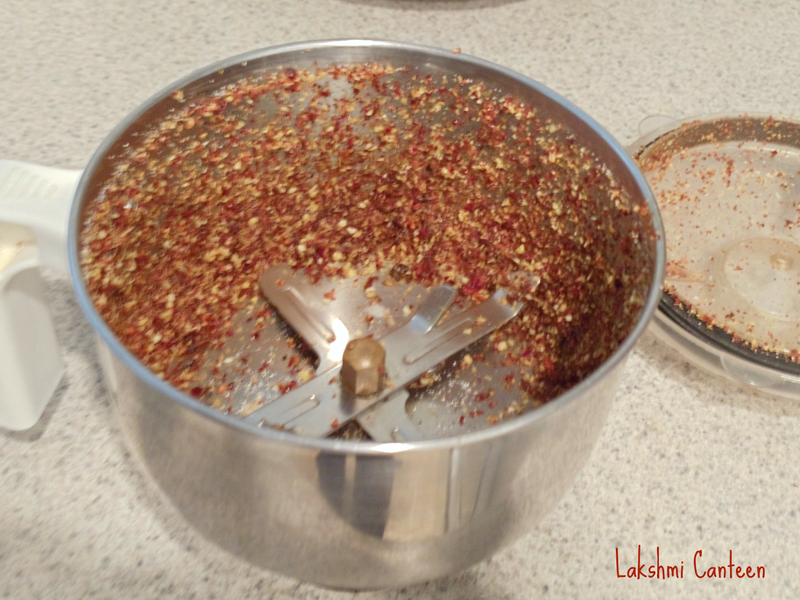 Now grind dry red chilli, grated coconut, salt and tamarind (without adding water). 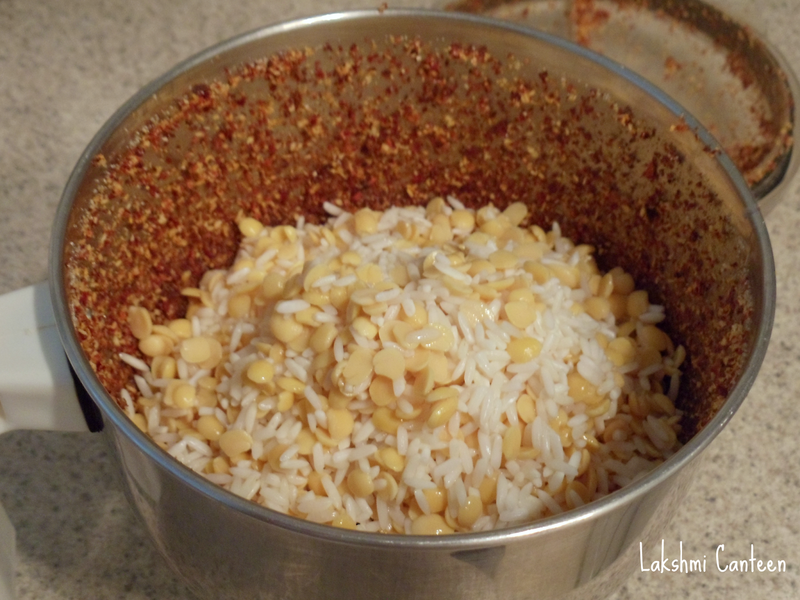 Then add the drained rice - toordal mixture and grind it further to get a coarse sticky paste. 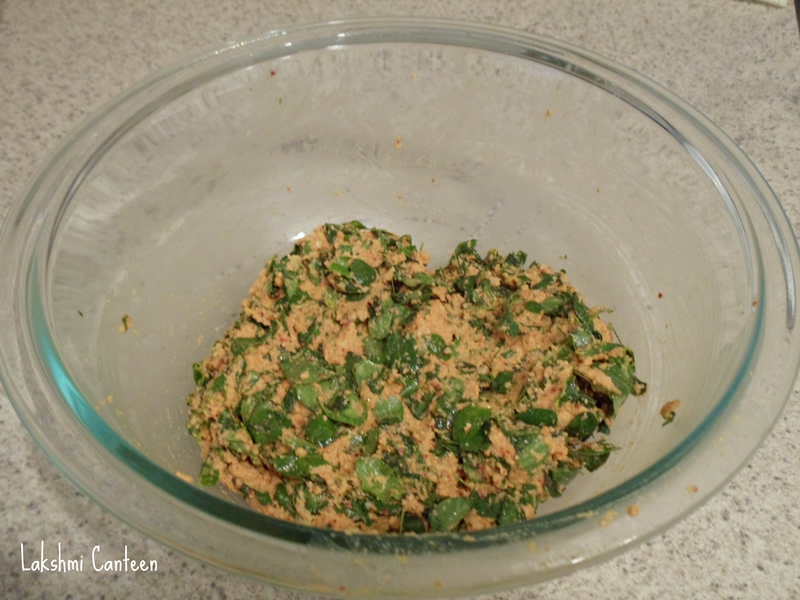 The final mixture somewhat looks like this (not too fine or not too coarse). I hope its clear from the picture. 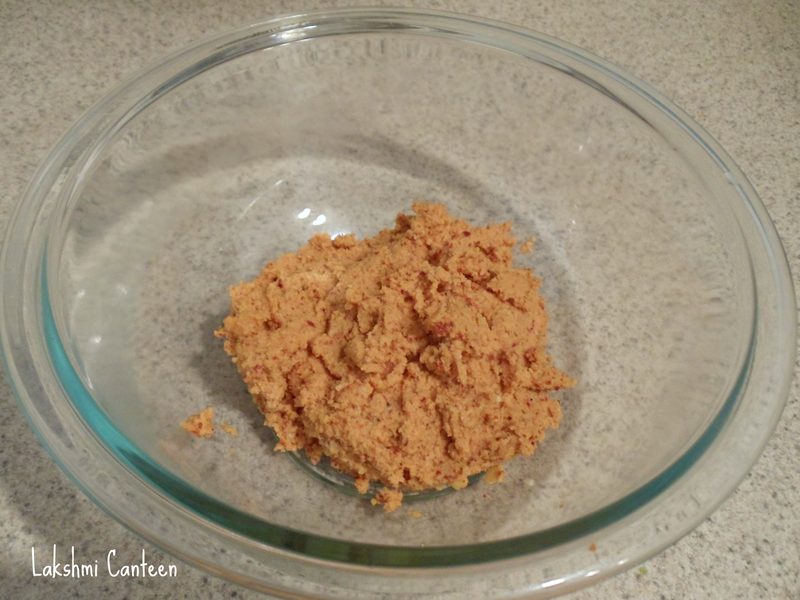 The crushed rice grains should not be too coarse or turned to a paste. Making this paste is a very important step. Once the rice mixture is ready, start heating the oil. Check for salt in the rice mixture. If the oil is hot enough then, its time to add the chopped leaves (this has to be done absolutely at the end because they give out moisture when mixed with rice mixture. 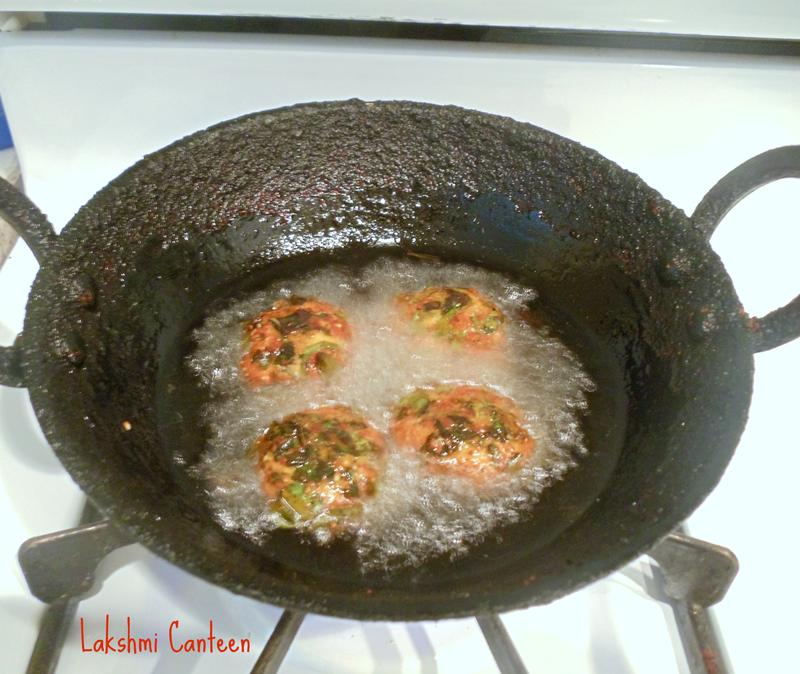 If the moisture content in the final mixture is more, then the fritters will absorb more oil. Hence this is another important step) to the rice mixture. The final mixture just before frying looks like this. Fry them (don't over crowd while frying and the flame should be medium-high) in hot oil until they turn crispy and dark brown on both sides. Once it is done, drain them on a paper towel to remove excess oil. Mashinga Palle Ambado is ready!! 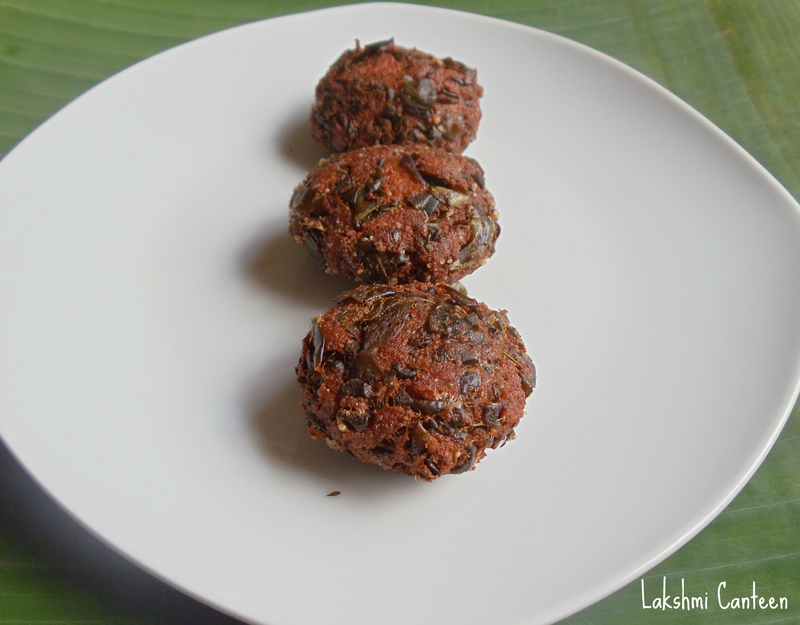 Serve it hot with rice and dalitoy. Above measurement serves two people.